Join Greg Hunter as he goes One-on-One with the Publisher of the Trends Journal, Gerald Celente. There is some free information and analysis at TrendsResearch.com. There is much more for subscribers. To subscribe to “The Trends Journal,” click here. The One, The Only, The Magnificent GC! A crash will come IMO, and when will metals finally soar? This is a question I see repeatedly which I simply can’t understand. Do you ever ponder when you’ll finally get into a car accident just to collect the insurance? Do you have confidence the banksters could transfer the inflation from currencies, stocks and bonds to precious metals without causing any unintended consequences? AA … you ask “when will metals soar?” … the answer is it is “beginning now” … you may say “how can I make such a statement” … look at the CPI, the gas prices at the pump, etc., etc. … the manipulators game plan is obvious … central banks throughout the world are currently generating fiat at unheard of rates out of thin air to inflate away their debt problems … and as they do so … all fiat currencies will tend toward to their intrinsic value (zero) … currently 8% of the world’s printed money is in the form of paper cash … the rest (92%) of the world’s money is simply digits on a computer screen … all the physical paper cash and digital cash in the world is now $90 Trillion dollars … however global debt (bonds) is about $215 Trillion dollars … add in the world’s derivatives markets and the number rises to between $544 Trillion and $1.2 Quadrillion ($1,200,000,000,000,000.00) … now let’s compare all the above fiat and its derivatives with gold and silver … all the world’s gold (187,200 tons) represents only $7.5 Trillion at current prices … and all the world’s silver (1 Billion ounces) represents a minuscule $15.5 Billion at current prices … so all the gold and silver in the world represents only about 8% of the value of fiat paper and digital cash … and less then 1% of all the fiat debt and derivatives in the world … bottom line … there is no way on God’s Earth physical gold and silver can be mined as fast as bankster fiat can be generated (to infinity) … so perpetual fiat money inflation is not only inevitable but irreversible just as it was designed by the banksters so they can manipulate the world’s financial assets and steal away the wealth of the people and put it in their greedy hands … the inflationary trajectory is clearly upward and Trump’s trade war is designed to cause a further surge in inflation here in the States as imported goods and raw materials will now cost more for consumers and industry … the theory is that all this inflation will make America’s debt problems “more manageable” … so as you can see … a rising gold and silver price is baked in the cake … the cost of everything will rise in terms of fiat money perpetually created out of thin air at a faster rate then gold and silver can be mined … so the transfer of inflation from perpetual creation of fiat currencies to the precious metals is not going to cause “unintended” consequences … the consequences are clearly “intended” … the banksters want the price of everything to rise … their plan is to “inflate away the debt” … and as they do so … the price of gold and silver will rise and rise … there is no doubt about it … it is just pure and simple logic … don’t let the minor fluctuations in gold’s price right now scare you away from what is coming our way by design … massive inflation!! Many kudos for this superinteresting contribution. With all due respect, as long as The Banksters (using taxpayer money and future debt obligations tied to that money can probably keep the metals suppressed for quite some time yet. However that time scale is not forever. Do some research on GATA for confirmation of the price rigging. From my research it appears that while The Banksters are keeping the price down, they are also buying metals hand over fist, esp the Russkies ,CHICOMS and the usual suspects-Morgan, and the Goldman Sack. Gerald Celente is one of the BEST! My husband and I were just talking about him a few days before you posted this interview! He tells it like it is, whether the media likes it or not. I’d LOVE to go to that RON PAUL rally, just to hear Gerald speak. I still have a big Ron Paul sign and I feel like hanging it up, just because it represents a movement here in the U.S.—–a movement of freedom and of taking our country back! Ron Paul was a big starter in all of this and the Deep State could see the integrity of that man. Like Gerald Celente says: Ron Paul is honest, peaceful, loyal, true. Keep up the good work, Greg and thanks for having such talented men on your show. Great report Greg and Gerald. Beautiful sunny Winters day, doing my laundry and listening to this interview on USAWD!!! So grateful to be alive. Best wishes to ALL of you. Thanks Mr Hunter and Mr Celente,just fantastic. Mr Clapper lied to Congress on camera,as shown by Mr Snowden,yet he escaped jail time,with this abuse the American people are expected to have confidence in these gargoyles! You can fool some of the people some of the time, but not all the people all of the time! Remember ISIS? Remember thousand’s of Azizi & Christian Syrian woman and children? Was climate change more of a threat to them than terrorism? Remember the white helmet’s? Seth Rich? Julian Assange? Dennis Montgomery? The Hammer? Gun running in Benghazi. Our ambassador to Libya, what was his name? Did you forget? You can’t stop the truth it keeps marching on and it will March all over you soon. Mark her words, in a song. . . These are the sons and daughters of the ones you call deplorable. The people you now see to win, are now trying to get your dirty little fingers wrapped around. You never will in a million years! Celente spoke the truth when he said, ‘The business of China is business. The business of America is war’. America is committing the greatest crime of international law, the Crime of Aggression. 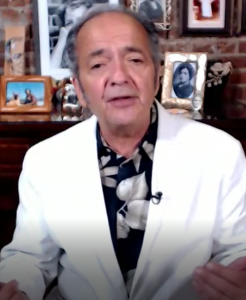 Pray that Celente is correct that America will end all unjust wars. From you and our Brexit cousins, we the sheeple! Tommy Robinson’s conviction on contempt of court charges in Leeds was quashed because of procedural flaws. He is out on bail pending retrial. Fantastic news and Thank you for posting it. Can you post a link. keeping tabs on your favourite subject Greg. I shall find the documents and post them tomorrow. This is a huge win for rule of law. I hope the Tommy Robinson situation is a sign from God letting us know he is in charge. Following is Ezra Levant from Rebel Media interviewing Tommy just after is release. This was great and I watched it all!! The top UK judge gave a beatdown to the lower court!!!!! How did you mix up Carlson and Cooper? Frederick and TFH: Thanks to both of you. Prof. Cohen has been a favorite of mine for years. It’s intriguing that Cooper (apparently) had no idea how tough Prof. Cohen is. Also intriguing, was how poorly Mr. Boot performed. I had no idea that Boot was so intellectually weak. I like the plan to pull troops home, assigning them to infrastructure repairs and building a southern wall. Add in revelations on the criminal Russian investigation and begin arrests, it would be a nice fall season. Cavanaugh, Jerusalem, British embassy debacle and the rest, here on Gilligan’s peninsula! USA, USA! LOCKEM UP! PIP PIP HURRAY! For the people, we the sheeple. Try and lick that, you prick’ERs! Will be interesting to see how these do over time. The shadow government of the United States. The existence of the investigation was withheld from the congressional “gang of eight” because of its “sensitivity,” former FBI Director James Comey later said. The FBI continues to withhold the full details of the origin story from Congress. Their rationale is the “protection of sources,” as the origin lies with our best international partner. Does this prove who really holds the power of Governence, in these United States. Not for, or we the people, nor our representatives, whom we send to Washington!? The real power of the bad cops, in the highest echelons of our government and unintelligent community. The plausible deniability scam in all its scandalous splendor. We the sheeple are judge and jury and the rule of law better be enforced by our good cops or forever hold your silence. Enough said, their fired. It’s our turn now! Who’s turn? The one we sent forth. To drain this stinking mess, that’s swept all Washington, the swamp. And precisely WHO is “our best international partner”??? Greg: I am so relieved now only the top 10% need “guns, grub and a getaway plan.” I am so relieved, as I had no place to run. No need to be concerned with “when people lose everything they lose it.” Buy the Sun Shine Journal aka, Trends Jurnal, enough sarcasm? NO. How about horse blinders for residents of historical Kingston, NY. I thought everybody who has a pension owns stocks. They also own bonds in corporate and sovereign form. My understanding was that on average it is 50/50 weighting stocks to bonds depending on what age you are. To our second revolution! Cheers! “We’re gonna send you to Military School”… Remember it like it was yesterday.. Thanks Greg. I always enjoy Gerald. Yes … do it Trump … end the 18 year Afghan war (and burn the poppy fields before you leave) … it is time to bring our boy s home not only from Afghanistan but from Korea and Germany (after 70 years) and from elsewhere in the world … and all those billions of dollars saved from the defense budget should be “clawed back” and used to balance the budget, lower our trade deficit and rebuild American infrastructure … our world was made by God to express his desire for beauty and light … all his wonders of creation were not meant to be radiated with nuclear fallout and God’s soil was not meant to be contaminated with depleted uranium … we were put in charge to take care of all God’s work he spent a lot of time (6 out of 7 days) to create … we now seem to be doing the moral thing (with Trump in the lead) to protect our women and children … let’s finally bring peace to the world … and save our boy’s also!! If we do on Earth as it is in Heaven … we enter the Kingdom of Heaven (by bringing it here) … there is really no need to go anywhere else in God’s universe looking for paradise … people longing for a heavenly place to live their lives came from Europe to America to make a “new world” for themselves (and simply ran away from the tyrants) … and now we want to run away again to Mar’s to create a “new world” (to get away from the tyrants) … let’s stop running away from these evil tyrants … lets “stand up” to them … let us do as God did … he didn’t leave he threw the Satanist’s out … if we stand up and fight evil … the Kingdom of God will be on Earth … and let’s keep it that way forever!! Hitchens was a renowned atheist. Therefore, he lumped religion, bad people and God together and could not separate them. Yes, there are bad people. Yes, there are false religions. But, God (the Father) is good and just. One last thing, I’ll bet Hitchens is no longer an atheist. The problem is when people follow those bad people believing that it will result in their salvation. The Vatican is a wolf in sheeps’ clothing. Catholics do not worship the Vatican they worship Christ. I am not fan of this Pope. We all need to pray night and day for God to help us solve our problems and help up be victorious. If we are repenting and looking toward God, He will help us. If we are not looking towards God, He will leave us to solve our own problems, which we cannot do on our own. Each of us needs to unite with each other on this site, and pray faithfully that God will help those in this country who are fighting the battle. Hopefully that includes us. 1 Thessalonians 5:1-6 But concerning the times and the seasons, brethren, ye have no need that aught be written unto you. (2) For yourselves know perfectly that the day of the Lord so cometh as a thief in the night. (3) When they are saying, Peace and safety, then sudden destruction cometh upon them, as travail upon a woman with child; and they shall in no wise escape. (4) But ye, brethren, are not in darkness, that that day should overtake you as a thief: (5) for ye are all sons of light, and sons of the day: we are not of the night, nor of darkness; (6) so then let us not sleep, as do the rest, but let us watch and be sober. Peace and prosperity. Love the thought of peace and prosperity. What a fantastic gift to the world. But first we have to overcome those who get rich from war. It is hard for me to imagine that peace is such a hard sell. It is hard for me to understand how cruel, greedy, wicked and evil these people who want war, really are. They lie, steal, kill, control and profit. Screwing the rest of the world. I hope President Trump really has a plan to overthrow these monsters. A plan that is in harmony with the Will of God. That way, success is guaranteed. May it happen quickly. Thank you, gentlemen. Promoting truth and hope is a good thing. Good for my morale. Have to agree with celente on a couple points, the market very well may be near a top, and fed raising rates is going to put a kabosh on growth very soon…,.Iam a little confused about people only having 15000$ invested which if a market crash occurs it wont hurt them….Alot of people have 401ks with 10 times that amount in them ? I have to disagree a market crash will have huge ripple effects all over the world.. If we crash everyone does ..
Greg, just love G C, been watching him forever, most of the time he is right on. However, if the war is going to end in Afghanistan it better start pretty quick since it is August now & withing 100 days of the midterm elections. I certainly hope Mr. Celente is correct on this one; peace and pull back of troops in various parts of the globe; should be leaving Germany as well in my mind, no allies there! Also, love Gerald’s rant on Obama, couldn’t said better myself. On the failed coup, I agree with G C that no President has ever been so been attacked by the media and both parties as our President. His rant on our political parties and the established systems is so so right, frankly, we the people have had enough of all those enriching elite deep state rich jerks. Hey Gerald if you read this: I will be watching you this month at the Ron Paul conference, go get them! This is the first time I have seen or listened to Mr. Celente when he is calm. What a change. Here in Arizona the democrat candidate for US Senator, Kyrsten Sinema, is trying to portray herself as a champion for the veteran. She has been running non-stop TV ads of how she fights for the veteran against the VA. The real problem is the creation of endless veterans from the wars in Afghanistan and other MENA areas of operations. I want to see a candidate calling for the end to the phony wars. Of course this will not happen. Having served in the army for 11 years and now working at the VA as an internal medicine physician, I see the results of the last 17 years of war and the older generations from Korea and Vietnam. Very few WWII vets are left that come to the VA. The younger vets in their 20’s to 30’s are products of the dysfunctional family and dysfunctional public education systems. The majority don’t have the coping skills of the previous generations. Endless “Thank you for your service” is pure cow dung. I don’t want to hear and never say it. Interesting to note that the VA disability game begins while on active duty. Soldiers, sailors, Marines know how the VA system works and plan accordingly while still on active duty. The game is to get compensation. Some are real while many are scammers. They know what to say to get monetary disability checks. I don’t see the military being put to work doing bridges and roads. Having them build the wall on the border would be a better idea. I have been an advocate of a draft since the start 2004. Once everyone has skin in the game we can properly debate the reasons behind why we are still in Afghanistan and MENA. The deep state learned during Vietnam that an agitated population that questions authority represents a danger to their power. We are going to be paying for the last 17 years of conflict for the next 40+ years in veteran’s benefits. The cost in lives and blood will never be measured. One more on the Afghanistan situation. Most fuel and supplies are brought in by an overland route through Pakistan or from the north. There may be problems brewing with supply routes that we are unaware of. If overland supply lines are cut, the troops there will be in trouble. I believe that Trump has been made aware of this. Certainly the Iranians could interrupt supply lines and cause problems in many other ways. The situation is complex. War with Iran means escalation in Afghanistan. He has started a course of yoga and increased omega 3 consumption. E, scammers abound in the military too, they are everywhere now, in all sectors, including law enforcement. Slackers, scammers, socialist, atheists, illegals, undocumented, criminals, American haters, etc., all side by side now calling themselves Americans, you can spot them easily by their hands out with their palms up. They are like RHINO’s, just too many of them & too little time! Eddie, can you just imagine a draft today? With many, Mommy would have to go too! He did not and Mr C never elaborated. What’d he mean by that? Honestly, who is voting for a Democrat after all that has happened? If that happens we really don’t deserve the country. I delete lies and misdirection and you just made one. And me and Sig and…………… Maria is right. When Gerald Celente says, ” The Trump Rally is ending.” What does he refer to?? I think he means that the support for Trump is hitting it’s peak here soon. Because we are coming to the top of the hill in this support, we will soon be going down the other side of the hill. Trump is trying to find ways to keep that support high, so there is not criticism coming from people who were supporters. Nope. Celente was talking about the stock market rally. One of the ways Rome built-out its public infrastructure in its day ( aqueducts and roads ) was with labor provided by its own troops (engineers) when they were not fighting a war. Turns-out they were at peace much more than war in their prime and had lots of manpower to build public infrastructure, as we once did in the 1950’s under President Eisenhower ( Interstate Highway System). We competed our interstate highway system by the mid-seventies, but have done little NEW construction since then, only some periodic maintenance or repaving projects at great expense. President Trump has the right idea if he can last long enough to pull it off. ?? Now lets look at what the rest of the world “is doing” to get the gold price up … they are printing fiat at ever increasing rates … more yen, more yuan, more euro’s, etc. and this means more US dollars will have to be printed to keep the dollar in balance … yet Harry Dent thinks the price of gold is going to drop to $700 dollars per ounce with all this worldwide fiat printing going on … mining costs are now at $1200 fiat US dollars per ounce … for the banksters to manipulate the gold price below mining costs they will put the gold miners out of business … do the banksters want to put the gold miners out of business? … central bankers can’t put the gold miners out of business and also expect the gold price to drop … so they will need to print up cash out of thin air and give it to the miners to keep them producing under production costs (sort of the way the government now gives free cash to the auto companies to keep them producing) … the problem with printing up fiat at ever increasing rates (to keep the producers producing at a loss) is that the “inflation of the money supply” will then put upward pressure on gold … so “there are limits” to how far the banksters can manipulate the gold price below the cost of production … so we have reached “peak manipulation” … talk to any Venezuelan about the price of gold in Bolivars (as that country’s fiat money was exponentially printed out of thin air) … gold’s price in Bolivars is up 2,544,635.22% in the last five(5) years!! Eddie…you make me laugh!! Calm? I like Mr. C., but calm he’s not!! He puts me in a NY state of mind! He reminds me of growing up in NY…and he just makes me laugh! So why should you care? In case you’ve missed it a Chinese replacement exchange system has been built right underneath the petrodollar by the central banks and the working group. Once the market becomes saturated with Chinese liquidity the dollar will die a quick death. The only thing between a new global currency and us is Donald Trump. In my opinion the tariff game with China is more about buying more time for the Donald to roll out a gold backed currency than accomplishing anything meaningful. Trump knows the globalist are in the final phase of clearing the world banks balance sheets of u.s. treasuries and has decided not to wait around to see what happens. So far his plan is working. or the last time a dollar clearing platform was set up anywhere? Jerry has not been here for 10 years. According to some sources (which I have no way of confirming) HB5404 was quietly signed behind closed doors last night rolling out a new gold backed dollar. Does it make sense? You bet. I have thought all along that part of the global currency reset would involve returning to the gold standard. Why? It’s been the undefiled benchmark for centuries offering a real tangible asset. Cryptocurrencies? Though popular have shown security issues recently having been hacked in several market venues. . Either way, I know for a fact from personal family contacts inside the banking industry that a new exchange system has been installed inside the banks that involve blockchain technology. The bigger question is, when will they roll it out? Thank you, Jerry, for your always substantive and thought-provoking posts. As a long-time, circa-1999 prepper type (in the broadest sense of the word), I have developed patience across the years and am content to “watch” it all unfold. Back then, gold was about $287 and silver was around $4.65. We’ve come a long way baby…mostly down. My grandfather would be stunned at the state of America today. Regardless, as an old country carpenter said to me long ago, ” You do purdy work.” Thanks again for your contributions for the greater good. FYI…This is a Goldman Sach’stutorial on blockchain technology that you can find on their website. You know Goldman will be a beneficiary. Jerry: You can check the congressional record to conform your sources. Love your stuff. Please keep posting. I hope you’re keeping a journal? . I like to think of you as a modern day Totto from the wizard of ozz pulling the curtain back revealing the scam artist from Kansas. Funny how some people still want to believe the wizard is real? Jerry, just waiting for your diaper to show up. And Stan made it. Full load as always. What a stupid degrading thing to say about anybody. GATA has a prior story from Nicholas at http://gata.org/node/18288 entitled ‘Whatever exchange for physicals do they are not taking London gold’. As most of us suspected, the COMEX is a totally manipulated marked, but now someone has proven it. It might be interesting to have Nicholas Boezanek on your show for an interview. Gold and Silver prices are a total fraud and the CFTC and SEC are part of the fraud because they ignore the naked short selling. When this blow up prices for gold and silver in the physical form will explode upward. I would like to think that AU and AG will “explode upward” Greg, but we have to face a terrible fact. If Goldman Sachs and all The Banksters are setting up Blockchain technology in the background, with a plan to roll it out to the world, then we are doomed. Goldman and The Banksters deal in LIES & DECEPTION…….so their Blockchain technology, which some laughing label a “truth machine”…..a ledger where all transactions can be checked for honesty, will just be an extension of their lies and deception business model. What?? ?……do people here suddenly think that the Banksters are suddenly going to go straight??? Stop with the utter fraud by rolling out a Truth Machine?? The Sheeple aren’t even smart enough to figure out what the name Blockchain really stands for…….SLAVERY. Humanity…..finally shackled up by the NWO to the BLOCK and CHAIN. Watchdoggers……..Gold and Silver will be OUTLAWED. You will not even be ALLOWED to trade with it even if you own it. You WILL be tied to your CHAINED to your BLOCK…..and the block is called DEBT. Get used to it…….Goldman Sachs and The Banksters have your future COMPLETELY controlled, mapped out and ready for you to be milked. How long has blockchain been around? How about gold and silver?? As usual, a great interview and very informative. It’s really needed. I just visited with an uncle of mine who doesn’t have Internet and watches Fox in the hen house news, he is sick of all the BS he sees on TV. I’m helping him hook up to your TRUE NEWS program and similar sites. The ENEMY MEDIA is withering away to nothing in slow torture fashion, exactly what they deserve. God bless you Greg and Gerald for bringing all of us the meat and not the dribble scrap BS the fake news enemy media spews. Is it true you are a tech person who works for MSM? ANd you said they are hemorrhaging money…can you prove it or stand by it? Being from the deep South, this is one Yankee I’m on board with. Love this guy. Huh, was this a combo of non PC-pro PC? “In the land of the blind, the one eyed man is King”. LOL….not so any longer …. new laser tech will blind those on the future battlefields….as China advances the tech. and U.S. military appears not to take it seriously? Our Troops will NOT be re-building our nations infrastructure. Period. Trump would see such a HEAVY BACKlash from that, it would cost him the mid terms and in 2020. Unions would hate Trump forever if he did that. We don’t need ‘make work’ projects here in this country. We need far better vocational tech schools, and eliminate 50% of the colleges today, most of which produce worthless lib arts degrees. And we need to return to making more stuff, using advanced technology and robotics, that are run by vocational tech experts with hands on experience, and programming ability. We could easily employ 50,000,000 people, beat China big time, and displace 500,000,000 million workers abroad who are in sweat shops making nothing. Those people could go back to farming, and use technology to produce more of their own food, and sell it world wide. The problem with the globe is the money is ALL GOING TO THE WRONG places, and too many people are in the wrong jobs for the country they are in. The US was built on manufacturing prowess, and it has the best infrastructure in the entire world to re-claim that: to wit 1) we have the world’s best electrical grid by far 2) we have the largest developed natural gas pipelines that can be used for heating, and power generation for very large factories, 3) we have the best capital flows and financing for such, 4) we have the best inter-land water ways to many great manufacturing states, 5) we have the best shore to ship roadways and trucking, and rail. What Trump needs to do, and he has started that, is get rid of ALL THE REGULATIONS THAT ARE KILLING our businesses. I’m ok with bringing back our Troops. Do it now. But geez the worst place for them is to remain in our military and doing construction that private industry can and should handle. I agree that private industry is the best way to deal with rebuilding the infrastructure of this nation. But in order for that to happen, we would need a total turnaround of the system we’ve got going in our country today. The government controls so much of the building that goes on, through federal grants. States take Federal money and use it for whatever, instead of the States being responsible for their budgets and balance sheets. Government grants need to stop. But, I don’t see that happening anytime soon, and if those troops are brought home, they are going to need something to do. It’s true we are a very blessed country. But, people’s attitude is really holding them back. It is hard to make businesses work nowadays though, when you are competing with slave labor in other countries. It’s hard for people to be upbeat. There are no easy solutions here. We have to rely on God and pray for the strength to overcome these problems. dear greg when all the vets and existing servicemen realize the fact that they have been fighting and watching their brothers dying to support deep state wars, will they not be extremely angry at members of said deep state and render justice accordingly? Trump most pro-black president ever? It always a treat when The Italian Stallions (Celente, Pento and Mannarino) are on your show as they always tell it like it is!!! When will you have Paul Craig Roberts on another who tells it like it is!!! Plain and simple; Democrats lead to Liberalism and Liberalism leads to Bolshevikism which leads to mass murder of Christians and hell on earth. America at all costs must kill what feeds the beast; THE FEDERAL RESERVE which is in the process of destroying America Financially ! We must control how money is donated to political causes that interfere with the political process. I.E. No more huge donations from Sheldon Addleson to buy votes for the benefit of Israel. Let Mr. Sheldon Addleson make all his donations directly to Israel! Let American politicians cast their votes based on knowledge and conscience and not casino money!!! Let Israel keep its politics in Israel and out of America!!! American politicians are afraid of the Israel lobby and cast their votes accordingly!!! One has to question; has Israel been regathered by THE ALMIGHTY G_D OF ABRAHAM, ISAAC AND JACOB or has it been created by the decree of man such as THE BALFOUR DECLARATION. To my understanding Torah Jews are waiting for the Messiah to regather the house Israel. will allow this continue? I think not!!! To my understanding, there is going to be another gathering of Israel. It will happen in two places though: Israel and America. There are the Jews—the descendants of Abraham, Isaac and Jacob, who never converted to Christianity, being gathered in Jerusalem. Then there is scattered Israel that will be gathered here in the U.S. You will see it happen more profoundly after the economic collapse happens and gold starts to be used more as currency. I hope so too. This news was a surprise to me. The latest Buzz on The Wonda from Down Unda, JULIAN the ASSANGE! From this interview I understood that the economy will slow down but it seem that he is not as worry as before. Would like to know if I understood his view correctly? I SAW A VIDEO FROM HIM THE OTHER DAY THE TITLE WAS Market Peak? Gold Bottom? Don’t really know what he mean since I stop my subscription. If anyone knows what he is speaking about concerning gold I would love to know. I don’t see how a social economic collapse can’t happen, I surely hope it will not but from all the interview I listen this is not possible. Just watched a White House news briefing about the upcoming election. It appears that all he important intelligence/law enforcement people were there speaking on vote tampering/interference in the upcoming election. Sessions or Rosenstein were not present. Might that be of significance?? We let this happen. It’ll take longer to turn around than it did to get here. Good to see you back Mohammad! We didn’t let that happen, the democrats did! We want the border secured, we want law and order. Democrats are responsible for the bloodshed in Chicago, Baltimore, Detroit and almost everywhere where the democrats are in power and in charge. They are the ones who want to shut down ICE, not us. They are catching up fast but they are not even close to the level, in terms of efficiency and cohesiveness, of the Japanese and Germans. We will be alright as soon as the democrats take the backseat and stop interfering with Trump’s endeavor to bring us back to sanity. If this were true, things are going to get really interesting in Syria. The latest spin on Russian hacking. The fake News’s media’s hacking cough, is getting real tiresome. Now the news is, why doesn’t it bother the Trumpster? I can tell you there’s a lot of speculation and scuttelbutt about that. Is it because it’s an Obama leftest leftover intell agents falsie flag event, unfolding before our very eyes. Sorta like all the false flag chemical weapons attacks on woman and children and as soon Assad is ever winning his war against the so called moderate Syrian rebels, ISSI’S and then the white helmeted guys come in to save the kids foaming at the mouth and can’t breath. It never made sense why the guy, when in the cat bird seat would even do such a thing to provoke the wrath of the world on himself when he’s practically already won the war. The explanation was always, he’s a total screw up, nut and bully. Maybe that’s why you’d never see any video or pictures of the guy because he’s really a cool calm collected, total milk-toast type? Pretty wife an kid’s, excetra. Nobody in their right mind could believe this is the Assad the media can’t wait to Kadaffy. Can they? Except maybe Evonka and it is worrisome if even Trump actually did. The fact nobody was killed in our last retaliation against the monster Assad, pretty much said it all. That even we bombing, didn’t believe it. I hope that doesn’t kill people in our next false flag retaliation because I mentioned it here. But strangely no one died in that huge drop of ordnance. They knew and were very careful not to kill for a lie, even soldiers. Maybe they just felt it was a white lie? Whatever, it turned out okay. Didn’t it? Everybody saved face, Assad, the Russians and president Trump came out the Hero of course, he always does and the sooner the Obummer Holder over troublemaker’s realize that the better! Back to this constant Russian hacking baloney, it’s looking the same. A Mocking bird brained, keep repeating the big lie corporate media propaganda attack that’s beginning to be a big constant pain in the you know what, rear end, poop shoot propagandas farce, right out the Saul Alinskie playbook! Could this just be our unintell Obomber leftover’s, at it again trying to pull the proverbial Ozzie wool over our eye’s once again? Does anybody believe the Russians actually fooled them into voting for Trump? Of course not. A Trump voter? No way Hosea! Trump voters aren’t the ignorent here. Personally I never do face facade book and the only ad’s saw were on television, paid fore by fat cat’s like George Soros. We all know the Russka’s wouldn’t have left all their fingerprints behind when they supposedly hacked the DNC servers. We also know our deep state real governing body, who by the way just told our Representatives in both houses of Congress to go stick it, in not releasing the FISA warrants, that their the boss here and their as scared as all get out that their losing it, because the uninformed are getting more informed and catching onto the senseless Seth Rich’e murder case. The real Sanders loyalist and leaker. A leak not hacking? Yupper day! Something even Sean Hannitty is even deathly afraid to mention anymore. That’s why Alex Jones has got to go and eventually have an untimely accident, as our Gina Macaroni likes to mention, the eventual fate for so many, like Greg and the president here on USAWatchdog. You got to admit, those guys got guts and thats why they got such large followings! Not to mention and honorable mention and shout out to Dr. Dave Janda @ operationfreedom.com, from deep in the bowels of the leftest compound and future FemaCamp mid-west. I like listening to Gerald Clenente’s commentary until he gets going on his Obama Rant. Gerald does not like Obama and regards him as a little Imp. The news is getting to be two sides shouting back at each other defaming their guy, be it Trump or Obama. The more we empower political hate the greater the social conflicts grow. 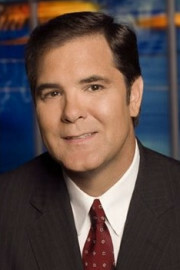 Its feared by some to have a potential to lead to a civil war ( Bill O’ Reilly podcast, Economist Martin A. Armstrong). Martin Armstrong just analyzes history and comes-up with various cycles. He maintains it will all fall apart in the U.S. after about 2032 A.D. If so, President Trump’s reforms or policy changes will not have a long-lasting effect. MAGA only is relevant while President Trump holds office and a few short years after he leaves. After that, the long term trend (decline) takes-over again. We have a respite for now, according to Rabbi Jonathan Cahn.